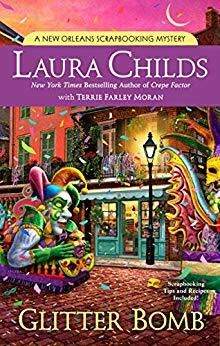 Carmela and Ava plunge into an investigation of the krewe-member’s death, but as they dig deeper it starts to look less like an accident and more like a murder . . . and Shamus seems less like a victim and more like a suspect. Hi Everyone. My name is Carmela Bertrand. I am the proud owner of the Memory Mine Scrapbooking shop on Governor Nicholls Street in the heart of French Quarter of New Orleans. My BFF Ava Gruiex owns the Juju Voodoo shop a few blocks away. 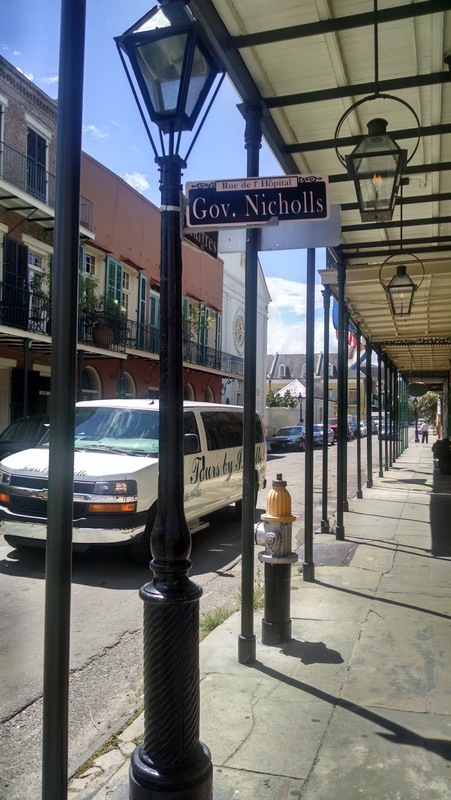 We may be busy entrepreneurs but we still manage to have an exciting social life because New Orleans is always crackling with the vitality of a town filled with social events small and large, all contributing to keeping us a tightly woven community. Naturally Mardi Gras is our most majestic celebration, a continuous party with entertainment, friends, beads and the most amazing food. As annoying as my ex-husband, Shamus Meecham, can be, he does know how to party. Shamus told me that his krewe had built the most spectacular float for the Pluvius Parade. Ava and I were not going to miss a chance to see that so we found a primo spot to view all the excitement. We were dancing around, catching beads in mid-air, cheering our heads off, and raising our geaux cups to all the costumed marchers as they went by. I loved the gold glitter swirling all around the float and the energy of the krewe members throwing gold beads into the crowd of onlookers was contagious. Everyone was having the time of their lives until BOOM! The float exploded right in front of our eyes! Krewe members were thrown up in the air and landed smack on the ground. A ton of gold glitter erupted from the float. In a couple of seconds glitter was covering everything and everybody. I shook my head, wondering if I would ever get the tiny flakes out of my hair. After the total shock wore off, all the krewe members began to stand unsteadily and dust themselves off. All but one. I saw Shamus lean over a body that was perfectly still and begin brushing away the pounds of glitter on the man’s face. The man never moved. Wailing sirens were rapidly approaching and that could only mean one thing. My fiancé, handsome and debonair Detective Edgar Babcock, was about to find me at yet another very public death. That was the last thing I needed. But there I was when he pulled up. Within a few minutes he discovered that Shamus was there as well. Let’s just say, Babcock gets agitated anytime Shamus is around. And he is mega annoyed at my being anywhere near one of his murder cases. So this was a double whammy. Of course I had to promise Babcock that I would go home and stay away from “snooping” as he called it. But once it was confirmed that there was a bomb on the float and then people started to look at Shamus as a definite suspect, well, on behalf of Boo and Poobah, the loveable dogs that Shamus and I still share, what else could I do but “snoop”? I hope you will come and hang out with me, Ava and, of course Babcock, in Glitter Bomb. 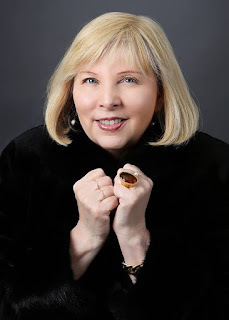 Short-listed twice for The Best American Mystery Stories, Terrie Farley Moran is delighted to introduce mystery fans to the Read ’Em and Eat café and bookstore, which debuted with Well Read, Then Dead, followed by Caught Read-Handed, and Read to Death, released in July of this year. 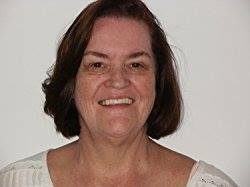 The only thing Terrie enjoys more than wrangling mystery plots into submission is playing games and reading stories with any or all of her grandchildren.